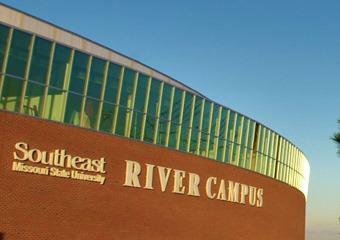 Southeast Missouri State University's River Campus. Southeast Vice President for Finance and Administration Kathy Mangels says the new building will provide additional capacity in the housing system. Southeast currently houses 3,000 students on campus, but the university deferred enrollment in recent years due to a lack of space. The university also books a floor at the Candlewood Suites for students. Another new residence hall is currently under construction at the main campus. Mangles says planners will take existing structures into consideration while designing the new building. “One of the important things, considering the historic nature of the seminary property, is we want to mimic those building materials and style of building. We’re really looking to create a 'quad' kind of feel on that campus,” Mangles said. Preliminary estimates indicate the construction will cost between $20 and $23 million. The university wants to complete the project in time for student to move into the residence hall by the fall 2014 semester. The Board of Regents will vote on the plans at December’s meeting.